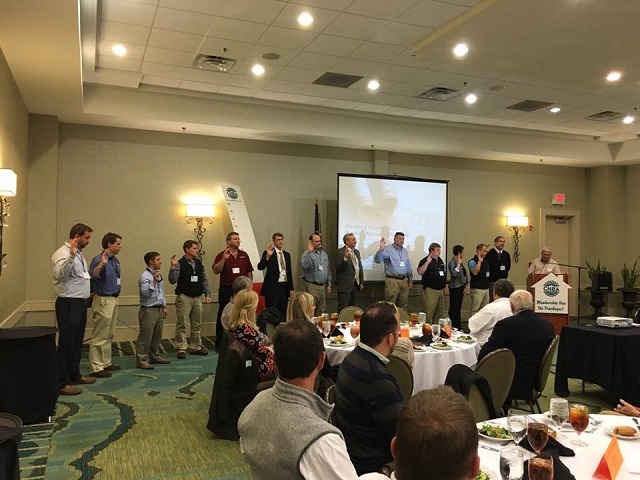 The Charleston Home Builders Association (CHBA) welcomes new leadership and several new members to its board of directors in 2016. Richard Jackson, owner and president of JacksonBuilt Custom Homes on Daniel Island, is the organization’s new board president. He was first elected to the board in 2012. Jackson’s focus during his term is growing the association’s membership base while ensuring members are benefiting from their involvement. “It’s truly an exciting time to be president of the Charleston Home Builders Association. The homebuilding industry is really booming right now in the Charleston market, so it’s the perfect opportunity for homebuilders to get involved with this organization, connect with their colleagues and help us in our mission of promoting homeownership in the Lowcountry,” Jackson said. 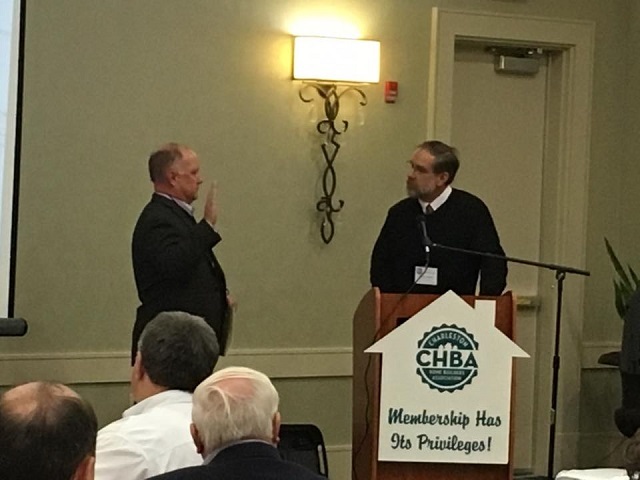 Jackson and the entire 2016 board of directors was installed on Jan. 14 by Tommy Bulwinkle, a past president of the CHBA. Also on the CHBA executive board are Vice President Tori Stein, Stein Renovation & Design Group; Treasurer Bryan Booth, David Weekley Homes; Secretary Ben Copenhaver, J&J Custom Homes; and Associate Vice President Jan Clouse, Carolina Lanterns. At-large members are Matt Timmons, Charleston Shelving and Mirror, and Rob Crawford, Renaissance South Construction. Immediate Past President is Doug James, Osprey Construction. New to the CHBA board of directors is Matt Bell, The Post and Courier; Will Herring, Hunter Quinn Homes; and Grant Zikon, New Leaf Builders. Returning board members include Jamie Nelson, Palmetto Surfacing; Albert van Overeem, BrockBuilt Homes; Lefty Gregorie, South State Bank; Mike Futeral, WCBD Channel 2; Jeff Meyer, J. Meyer Homes; Chris Klick, CK Contracting; and Luke Demory, Sherwin-Williams Company. The Charleston Home Builders Association (CHBA) is a 501c-6 non-profit organization working to promote homeownership in the greater Charleston, SC area through networking, education, advocacy and community outreach. The association provides our local communities with safe, quality and affordable housing and a resource for homeowners to access local industry experts.